As a young man he earned money by selling his paintings, exhibiting some of his works at the Lyon Gallery – L’Œil écoute, and by playing in a band called Mystère IV. While he studied at the Lycée Michelet, his mother arranged for him to take lessons in harmony,counterpoint and fugue with Jeannine Rueff of the Conservatoire de Paris. In 1967 he played guitar in a band called The Dustbins, who appear in the film Des garçons et des filles. He mixed instruments including the electric guitar and the flute, and tape effects and other sounds. More experimentation followed in 1968, when he began to use tape loops, radios and other electronic devices, but joining the Groupe de Recherches Musicales (GRM) in 1969,then under the direction of Pierre Schaeffer (“father” of musique concrète), proved hugely influential. Jarre was introduced to the Moog modular synthesizer and spent time working at the studio of influential German composer Karlheinz Stockhausen in Cologne. He set up a samll recording studio in the kitchen of his flat on Rue de la Trémoille, near the Champs-Élysées, which included his first synthesiser, an EMS VCS 3, and an EMS Synthi AKS, each linked to Revox tape machines. For a 1969 exposition at the Maison de la Culture (Cultural House) in Reims, Jarre wrote the five-minute song “Happiness Is a Sad Song.” His first commercial release was in 1969 with La Cage/Erosmachine, a mixture of harmony, tape effects and synthesisers. In 1971 Jarre was commissioned by choreographer Norbert Schmucki to perform a ballet called AOR (in Hebrew, “the light”), at thePalais Garnier. He also composed music for ballet, theatre, advertisements and television programs,as well as music and lyrics for artists like Patrick Juvet and Christophe.Jarre composed the soundtrack for Les Granges Brûlées. and in 1972 wrote music for the International Festival of Magic. That year he also released his first solo album, Deserted Palace, and from 1973–74 wrote music for Françoise Hardy and Gérard Lenorman, as well as directing Christophe’s Olympia show. 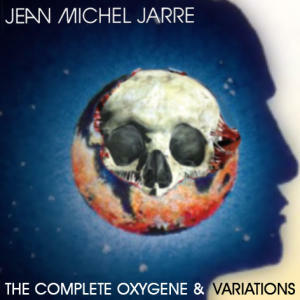 Jarre’s 1976 low budget solo album Oxygène, recorded at his home studio, made him internationally famous. It comprises six numbered synthesiser tracks that make strong use of melody, rather than rhythm or dissonance. A Scully eight-track recorder was used to record instruments like the Eminent 310 (with an Electro-Harmonix Small Stone phaser on its string pads) and the Korg Minipops drum machine. Liberal use of echo was used on the various sound effects generated by the VCS3 synthesiser. Jarre’sARP 2600 synthesiser, previously used on his collaborations with Christophe, also featured, as did his EMS VCS 3. Jarre’s follow-up album, Équinoxe, was released in 1978. It was composed with sequencers, particularly on the bass, and features a more baroque and classical style than Oxygène, with more emphasis on melodic development. It was less successful than Oxygène, but the following year Jarre held a large open-air concert on Bastille Day, at the Place de la Concorde.The free outdoor event set a new world record for the largest number of spectators ever at an open-air concert, drawing more than 1 million spectators, with a television audience of over 100 million watching live. The crowds were so large that Jarre’s wife, Charlotte Rampling, found it difficult to access the venue. Although it was not the first time he had performed in concert (Jarre had already played at the Paris Opera Ballet), the 40 minute-long event, which used projections of light, images and fireworks, served as a blueprint for Jarre’s future concerts. Its popularity helped create a surge in sales—a further 800,000 records were sold between 14 July and 31 August 1979—and introduced the Frenchman to Francis Rimbert, who now works for Jarre on a full-time basis. 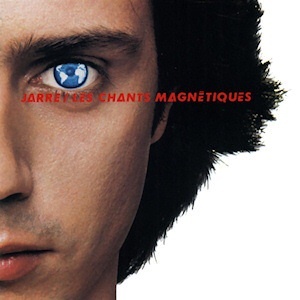 The new album Les Chants Magnétiques was released in 1981, And sold a reported 200,000 units in France alone. The album uses sounds from the Fairlight CMI, a new instrument of which Jarre was an early pioneer. Its digital technology allowed him to continue his earlier sonic experimentation in new ways. The album’s release coincided with Jarre’s first foreign tour. In 1981 the British Embassy gave Radio Beijing copies of Oxygène andÉquinoxe, which became the first pieces of foreign music to be played on Chinese national radio in decades. The republic invited Jarre to become the first western musician to play there, with The Concerts in China. his next release, was Zoolook and Musique pour Supermarché was also created for a planned performance at the “Supermarché” art exhibition. Jarre allowed Radio Luxembourg to broadcast it uninterrupted, in its entirety, before he auctioned off a single vinyl print on 5 July 1983, at the Hôtel Drouot in Paris.In 1985 Jarre was invited by the musical director of the Houston Grand Opera to perform a concert celebrating Texas’s 150th anniversary. Although he was busy with other projects and was at first unimpressed by the proposal, on a later visit to the city he was immediately impressed by the visual grandeur of the city’s skyline, and agreed to perform. 1985 also marked the 25th anniversary of the foundation of the Lyndon B. Johnson Space Center, and Jarre was contacted by NASA to integrate the anniversary into the concert. “Third Rendez-Vous”Third Rendez-Vous, normally performed in concert on the laser harpRendez-Vous was created over a period of about two months, and as with Zoolook, contains elements of his 1983 album Musique pour Supermarché.In 1988 Jarre released Revolutions. The album spans several genres, including symphonic industrial, Arabian inspired, light guitar pop and ethnic electro jazz. A two-hour concert called Destination Docklands was planned for September 1988, to be held at the Royal Victoria Dock in east London Close to the heart of London, the location was chosen in part for its desolate environment, but also because Jarre thought the architecture was ideally suited for his music. In September 1998 he set his fourth record for the largest ever outdoor concert audience with a performance at the Moscow State University, celebrating the 850th anniversary of Moscow. The event was viewed by an audience of about 3.5 million.The funeral of Diana, Princess of Wales, had taken place on the same day, and the Frenchman therefore dedicated “Souvenir of China” to her memory, before observing a minute’s silence. Another large scale concert followed on 31 December 1999, in the Egyptian desert near Giza. The Twelve Dreams of the Sun celebrated the new millennium and offered a preview of his next album, Métamorphoses. The show featured performances from more than 1,000 local artists and musicians, and was based on ancient Egyptian mythology about the journey of the sun and its effect upon humanity. Jarre released his first vocal album, Métamorphoses, in 2000.It was followed in 2001 by Interior Music, and 2002’s Sessions 2000, a set of experimental synth-jazz pieces distinct from his previous work .In 2003 he released Geometry of Love, commissioned by Jean-Roch as a soundtrack for his ‘V.I.P. Room’ nightclub in France. It contains a mix of ‘electro-chill’ music, with touches of his more traditional style. In October 2004 he returned to China to open its “Year of France” cultural exchange. Jarre gave two performances, the first at the Meridian Gate of the Forbidden City, and the second in Tiananmen Square. In September 2004, Jarre released AERO, both a DVD and a CD in one package And In his role of UNESCO Goodwill Ambassador, Jarre performed a concert named Water for Life in Morocco, on 16 December 2006, to celebrate the year of desertification in the world. Jarre released Téo & Téa on 26 March 2007. He described the two computer-generated characters in the video clip of the title track as being “like twins”, one female, one male. The album is supposed to describe the different stages of a loving relationship, and explores the idea that the length of such relationships is unpredictable.